Belmont Stakes (gr. 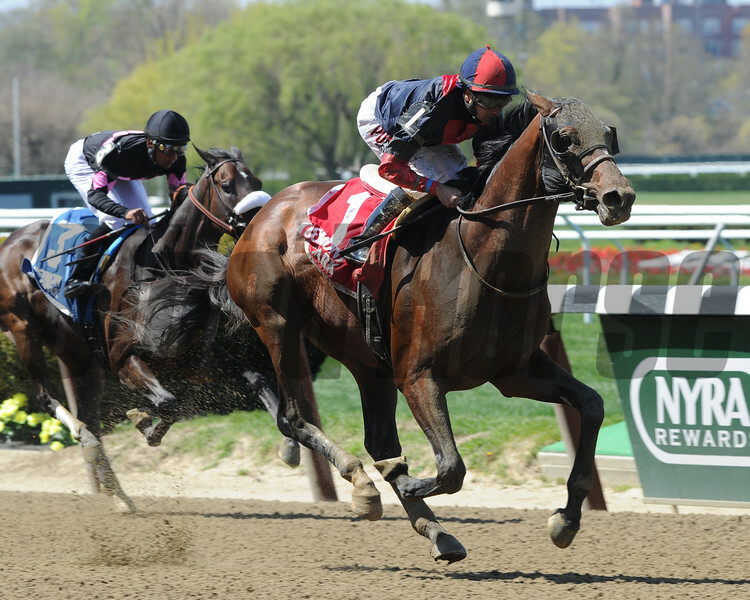 I) winner Tonalist shrugged off a sluggish start with a closing drive to win the $150,000 Westchester Stakes (gr. III) in his 4-year-old debut May 2 at Belmont Park.